I woke up one morning not long ago and stepped into a puddle. It was not the best way to start the day. I began the clean up effort and quickly realized that unless Eli had grown to the size of an elephant overnight there was no way that the "puddle" could be of his making. I found my beautiful wood floors ... buckled. The washing machine was just on the other side of the wall. And I had found my culprit. There is a rubber thingy that connects the soap dispenser to the big part of the washer that spins. All of the water used to wash the clothes comes through this thingy. I'm all about being technically correct as you can tell. The rubber thingy... It had exploded. under the wall into my bedroom. Maybe that's why I slept so well that night. The sounds of water lapping gently against my baseboards and night stand. Of course to add insult to buckled Brazilian koa wood floors I had waited way to long to do laundry. Super Son had no underwear. Miss Thing had no Monkey Bar Buddies and was prevented from wearing dresses. Oh the horror. Sears was closed and didn't have the part in stock anyway. all of the laundry and head to the laundromat. 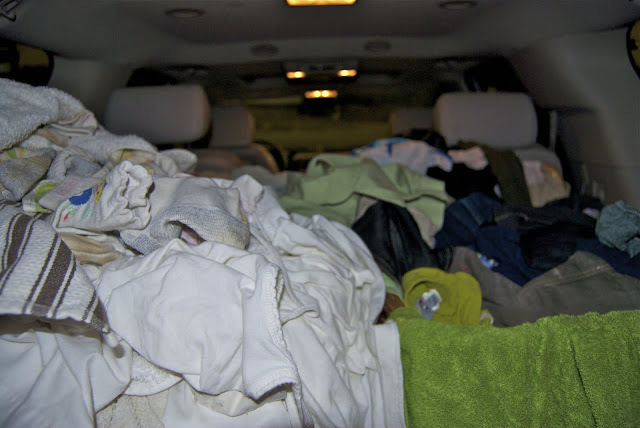 We had so much laundry it almost didn't fit into the back of my SUV with the seats all folded up. I learned something about myself this Friday night. 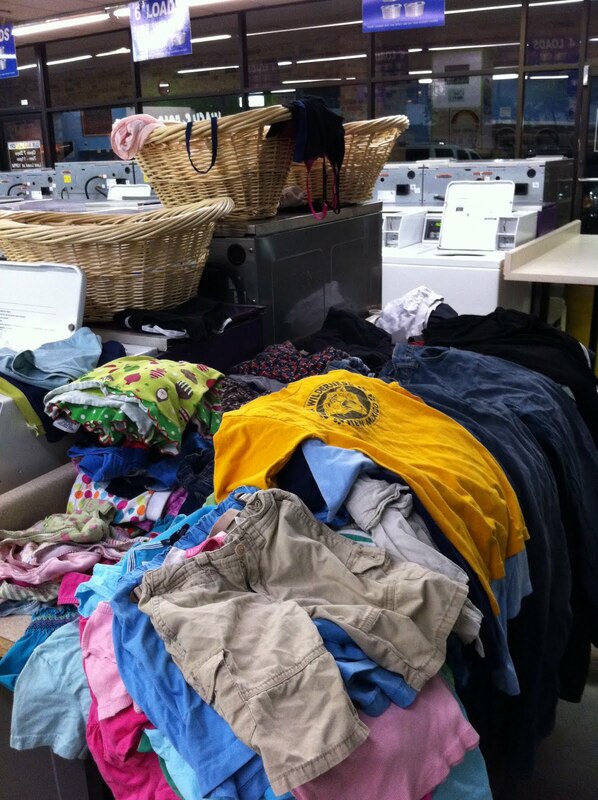 Irrationally, devotedly, love the laundromat. 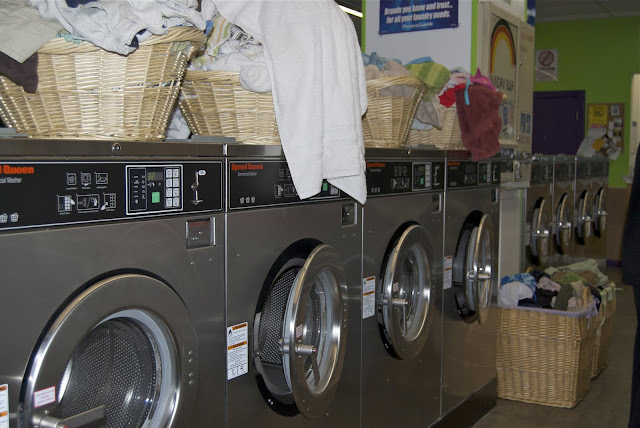 I loaded my 142 loads of laundry into machines and all of the clothes were washed simultaneously and in half the time it takes for a single load at home. 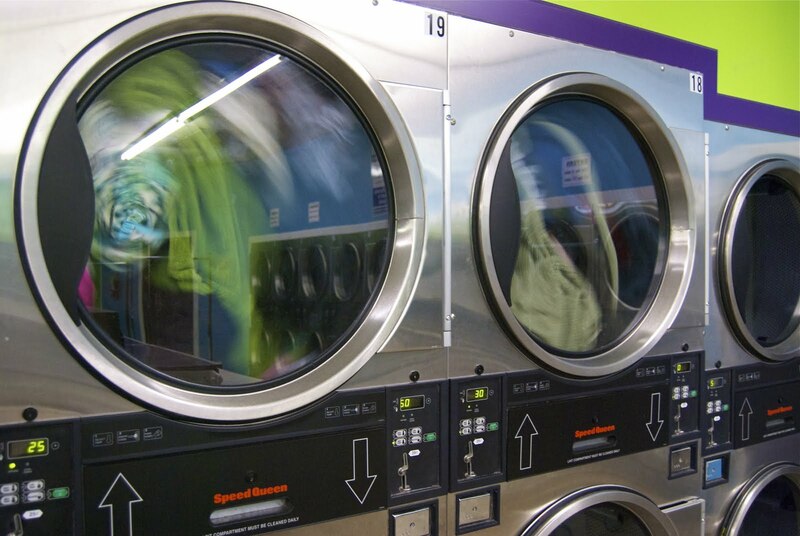 Then I transferred everything into the dryers. And in half the time it takes to dry at home. Everything emerged warm and fluffy. 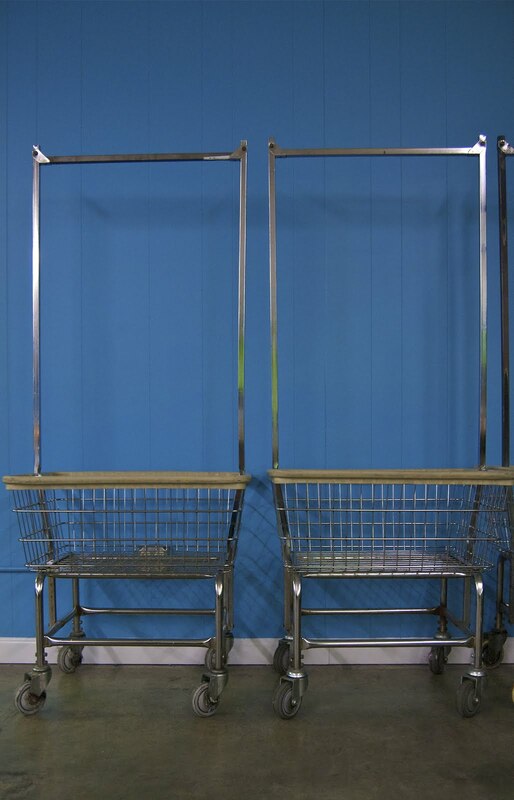 There were rolling baskets that were exactly the right height. I folded, stacked and returned to my baskets the evenings work. I did in two hours I did what would have taken 10 or more at home. and stopped at Sonic and bought Hero Husband a milk shake to celebrate. washer and dryer so we can have our own laundromat at home. Maybe red ones that don't have exploding rubber thingys on them. wiped the grease smudge of my cheek and made me cookies.